Australian journalist John Pilger (The War On Democracy) returns to the subject that has dotted his professional career: the treatment by the Australian government of its indigenous peoples. Although he has written books and made TV documentaries on the subject, Utopia, named after the area in the Northern Territory that’s home to the Alyawarra and Anmatjirra people, is the first to hit the screen. 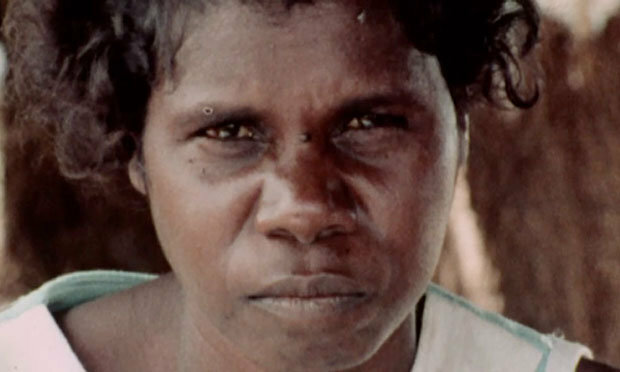 The inherent racism in the Australian system, the belief that the indigenous peoples are 'lazy drunks who don't help themselves', the British concentration camp on Rottnest Island, the stolen generation, where government policy was to remove children and place them in white homes, and the rumours that there was were roaming gangs of paedophiles among indigenous societies are among the subjects Pilger tackles. Taken on a tour of some dwellings in Utopia, Pilger is shown that the area lacks 'basic rights of humans,' with sanitation a real issue. It’s a roll call of disgrace and Pilger gets amongst it and does what he can with a camera. It might be a scattershot approach but Pilger's energy makes everything hit home hard. While Utopia is sincere it can feel like an extended new piece at times with Pilger coming across like a Roger Cook type. His disgust for the treatment of the Australia's indigenous peoples, and his unbridled passion to right that wrong, can be his undoing as interviews descend into anarchy. His combative approach to those whom he feels have done little to improve conditions can reduce the interviewee to a series of, 'Yeah, but… but… okay, but…' However, when he makes it into the outback to talk to the indigenous peoples he ends up asking and answering the questions himself with the interviewee adding only, 'Yeah… yeah… that's right, John, yeah.' The politicians who look to express regret for their country;s actions are given room to speak. Pilger might stop short of the Michael Moore showiness - the vox pop style interviews of proud Australians who don’t take kindly to being pointed out that the first Australians find Australia Day offensive not withstanding - but he can be as biased as those who are the focus of his ire. And what of it, you might say - the prejudice has been one way for so long, right?